* All you need are breakfast bars and snacks, great if you can survive a night/morning without a coffee or a tea. For Bothy info see here http://www.mountainbothies.org.uk/locationmap.asp, but don't forget they may be not the type of people that you want to mix with, or it could be full. So a wild camping bivi option should still be carried so you could dry out in the Bothy but sleep in piece outside. But as those looking to get into it or just so see what its about with a simple local #MicroAdventure up to a bigger 2 or 3 night out adventure I'll list my gear that I've found works best for me here in the UK at all times of year. I prefer a quilt as they have a cord that wraps them around your sleeping mat that as you roll over the quilt doesn't move with you as I've found that sleeping bags do, plus I don't like the restrictions of sleeping bags and need more wiggle room. Alternatively there's a local guy based in Southport who a couple of guys I know have used and rave about his price and quality. Plus he can make anything, he's currently making a 450 quilt like mine for someone, so just ask him ans he will give you a price. Now all of the rest of my gear is also available from any of the above suppliers in one type of another so I won't list them all again and again, if you see anything you have a question about PM me with your questions and I'll do my best to help you out. If you sleep on your back, go for a wide one as your arms will fall off the side off a narrow one waking you up all the time. I prefer one with a net that is help up off my face, Alpkit ones are great but there is no midge net to keep the creepy crawlies out. To keep the wind or a passing shower off your face and it will ensure you gear around you stays dry and together. Above is all you really need for a far weather night out under the stars, but if a bivi bag is a bit too much then a tent is maybe a better option for you. Optional for use in winter, if heavy rain is forecast, or in winder conditions. But if your gear is small and light you can take it in a ruck sack, but as you know I never carry anything on my bag. 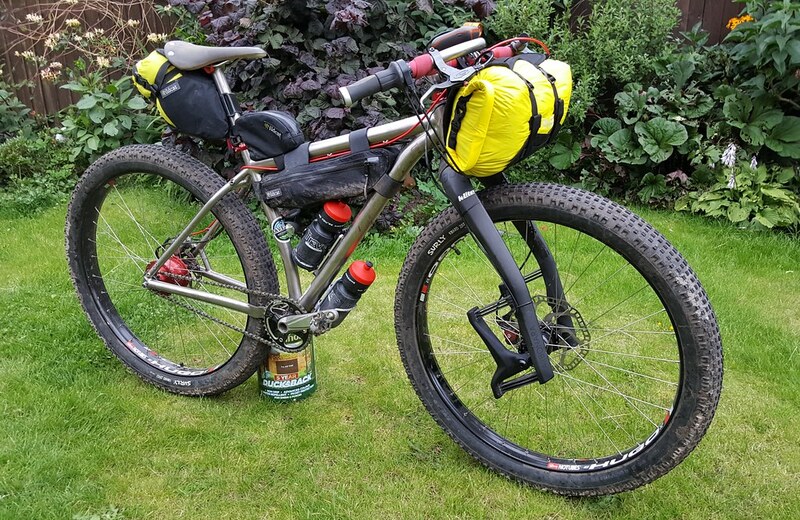 Below is the gear that I carry for a spring/summer/autumn 2 night bivi ride with food stops along the way, extending this trip will only mean another change of cycling clothes that take up no extra room. But there's always "A bivi a month" to join in on and which I've been doing now for 6 months in a row with a total of 14 nights out this year to date. Not all mosquito/midge nets are the same, so DON'T buy a mosquito net tent/bivi/ heat net that isn't midge proof. "What sleeping bag and mattress do you use? 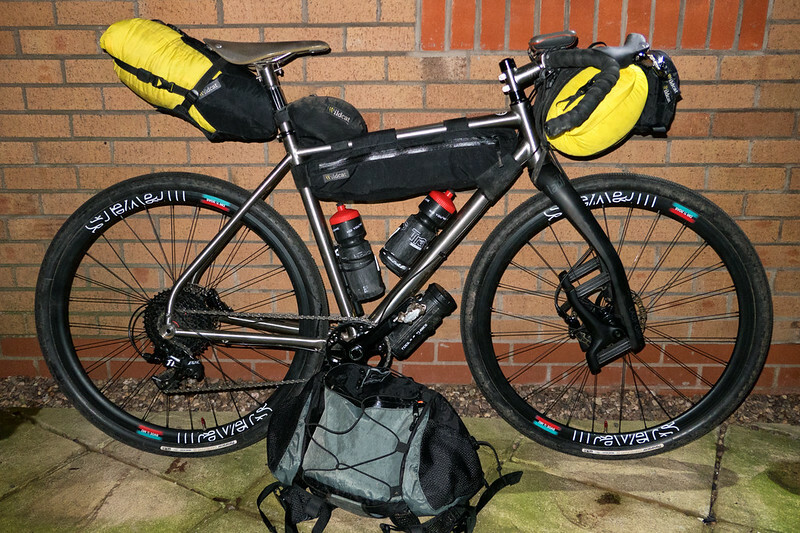 This is my set up for a late November single night out but long ride around Kielder forest, with a forecast of dry weather and down to around 1 degree above freezing overnight, with the aim to get to a bothy at 90miles but carrying a tent in case we don't make it. Luckily this sort of adventure is't for everyone and the trails and woods are nice and quiet at this time of year.